Wireless headphones are a great buy if you’re fed up of getting tangled up. There’s three main types to choose from. You’ve got the popular on ear option, with the more expensive varieties offering noise cancelling properties so so you can completely zone out from the rest of the world; you’ve got the handy sports headphones that sit in your ears so they remain secure as you workout; then you’ve got the equivalent of the Apple AirPods – funny little things that literally look like regular headphones without the wires. If sound quality is your priority and money is no object, then you won’t regret investing in the BOSE QuietComfort 35 II wireless headphones. Not only have they earned heaps and heaps of five star reviews for their exceptional sound quality, they’re also said to be extremely comfortable to wear and boast noise cancelling properties, too. Of course, if you can’t justify spending over the odds on wireless headphones, you’ve got the Beats X, which will cost you much less and they boast noise cancelling properties, although we can’t guarantee that the sound quality will match up to Bose. If you’re looking for the best wireless headphones, you can’t get much better than these ones from Bose, which seem to offer the whole package. From the drivers that deliver volume optimised EQ to the soft, cushioned headband that keep them comfortable for hours, when sound quality and wearability are the overriding decision factors, these wireless headphones from Bose are hard to beat. While Bose may be the household name, you certainly shouldn’t ignore these headphones from Bowers & Wilkins. They’re priced at exactly the same point as the Bose and seem to impress buyers just as much with their sound quality. Perhaps one of their most outstanding features is the intuitive pause and play, which stops your music the moment you take the headphones off of your ears, and with adaptive noise cancelling and 22 hours of battery to play with, you really can’t go wrong. Those who love their fitness should consider purchasing a pair of wireless headphones primed for use while doing sport. These ones from Optoma promise sensational sound, thanks to the aptX and AAC Bluetooth technology, while the noise cancelling properties ensure you can immerse yourself in your music without being distracted by the sound of the person next to you on the treadmill. They feature an angled design for maximum comfort and they come in range of colours to you can keep your headphones in line with your gym kit. Scoring top marks for battery life and with great sound quality and noise cancelling properties to match, these are the perfect accompaniment to your long haul flight. 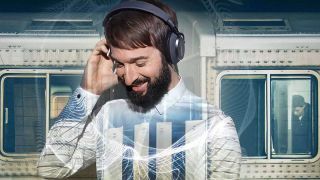 They features smart auto settings which adjust the sound quality in line with your listening behaviours, while cool features like automatically lowering the volume when you place your hand on the cup of the earphone make tuning out the office noise but being able to have a conversation with your boss perfectly possible. Beats headphones have made a name for themselves for offering decent quality sound at an affordable price and the Beats X are no different. With their in ear design, they make the perfect accompaniment to workouts and if you happen to forget to put them on charge, it’s good to know that you can charge them up quickly on the way to the gym. They promise to deliver authentic clear acoustic sound and you can even take calls with them, too. If you’re looking for street cred as well as gorgeous sound, you’ll have to give these headphones from B&O a whirl. They’re available in six stylish colours, including Charcoal Grey, Tangerine and Aloe, and promise superior comfort as well as awesome sound, especially for those who like to crank up the base. Although they don’t offer noise cancelling technology, with features such as a 19 hour battery life and an app that allows you to personalise the way in which you listen to your music, they’re certainly worth the spend. Although sadly, these wireless headphones are just for iPhone users, those who do get to invest with them are sure to benefit from a whole host of smart features. Thanks to their clever technology, they stop playing music as soon as you take them out of your ears, and you can use either one or two, which is great for hands-free in the car. When you’re on the phone, the advanced microphone filters out background sound to ensure your voice comes through loud and clear.